Join Us for Exercise Your Rights 2016! Run or walk a 5k, 10k or 1/2 marathon this September and raise money to support the ongoing organizing work of the VWC. The weekend of September 10th VWC leaders will be participating in Exercise Your Rights across the state. Read more about Join Us for Exercise Your Rights 2016! United Against the Rate Hikes! 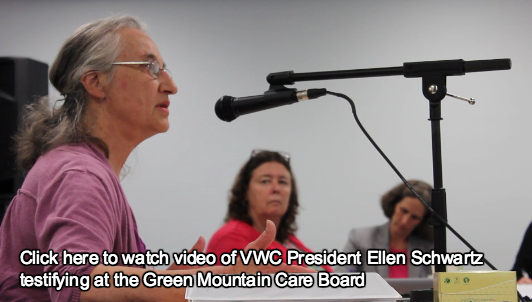 July 20th & 21st, MVP Healthcare and Blue Cross Blue Shield of Vermont testified in front of the Green Mountain Care Board about their proposed health insurance rate hikes of up to 10% (BCBS) and 13% (MVP) for next year’s Vermont Health Connect plans. But company lawyers weren’t the only ones testifying. Read more about United Against the Rate Hikes! Victory to the Verizon workers! Last week, the largest strike in recent US history ended in victory for Verizon workers. While workers in Vermont weren't on strike, VWC members joined solidarity pickets in Burlington at the Verizon store, part of a national solidarity effort to pressure the company to negotiate in good faith. 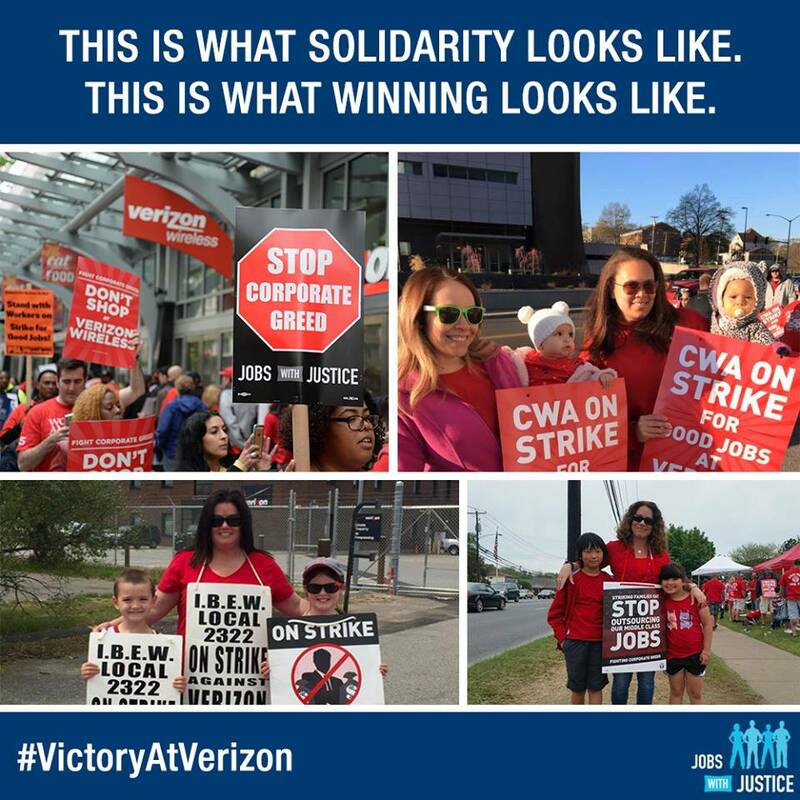 Read more about Victory to the Verizon workers! People's Convention success & victory in the movement to #FreeVictor! This Saturday and Sunday, over 400 people gathered at Montpelier High School for the Vermont People’s Convention & Just Transition Assembly, discussing how to build a movement for people and the planet with the power to change what’s politically possible in Vermont. Read more about People's Convention success & victory in the movement to #FreeVictor! 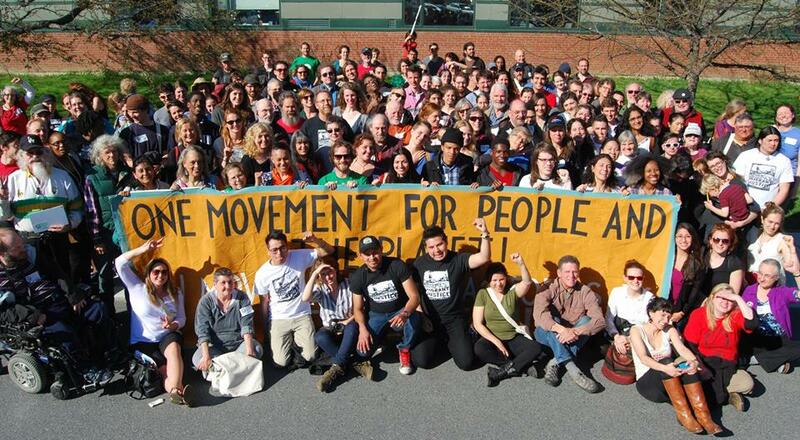 Join us this weekend for the May Day march and Vermont People's Convention! Read more about Join us this weekend for the May Day march and Vermont People's Convention! Take action for work with dignity in Vermont! While full-time employment was the standard of work for so many in our parents’ generation, today the entire economy is being restructured towards increasingly contingent and precarious work, with grave consequences for working families. Read more about Take action for work with dignity in Vermont! OpEd: A “Political Revolution” in Vermont: What Will It Take? This OpEd by VWC President Ellen Schwartz was published in the VT Digger. A “Political Revolution” in Vermont: What Will It Take? Read more about OpEd: A “Political Revolution” in Vermont: What Will It Take?